Be WOW-ed. Be very, very WOW-ed. 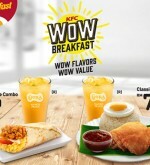 The new KFC WOW Breakfast Twister Lite combo is only RM4.90, and comes with Sjora Mango Peach. 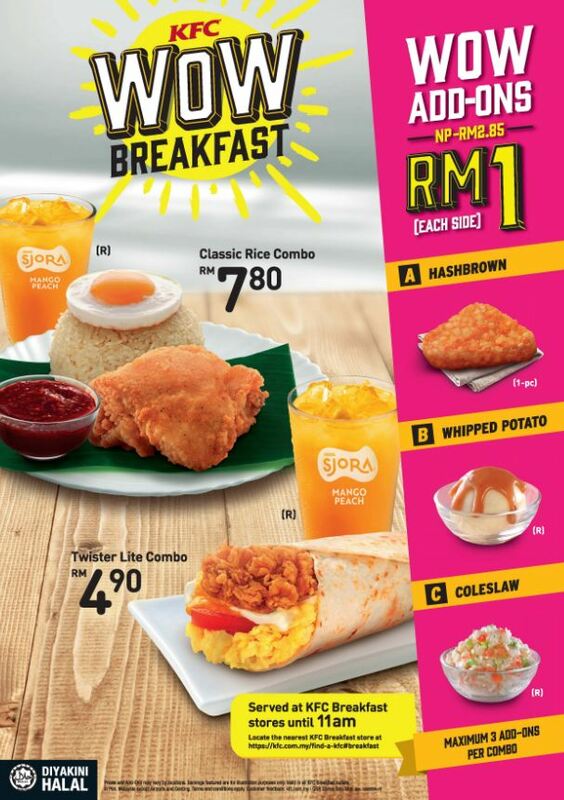 Get to KFC before 11am because every morning is WOW time!